Long car journeys can often be tedious. Whether you’re driving across the country for business or bringing your family on a holiday, you always seem to be missing a few car accessories that would solve all of the problems. Perhaps everyone’s phones die at the same time, yet there’s only one charging port? Maybe your air conditioning breaks down as you’re driving through southern France at the peak of Summer? Or maybe your suit jacket is hung awkwardly by the backseat window, being creased and crinkled as your work colleague leans against. Even driving to work every morning you may find that your flask of coffee has gone stone cold by the time you get there. 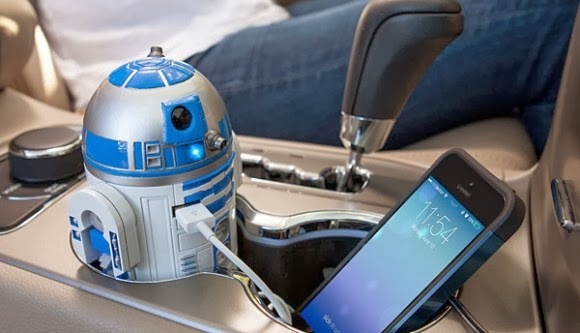 Don’t worry; there are car accessories out there that are ideal for you! Most phones come with adapters that allow you to charge your phone from the 12v cigarette lighter in your car. What a good idea you may think, but consider this. You’ve packed your three teenage kids into the backseat to bring them on a family holiday somewhere. Naturally, they will all be on their phones, trawling through Facebook and texting their friends. Inevitably their phone batteries will die and they will all want to charge them...at the same time. I’m pretty sure that’s how World War 3 is going to start. You can avoid all of this hassle be being prepared and investing in a 3-way extension for the cigarette lighter. This cheap, but potentially life-saving, gadget is available to buy from online car parts and accessories retailers. Dashboard fans aren’t people sitting on your dashboard cheering at you as you drive along. They are actually a very good alternative to air conditioning for the hot and clammy weather. With air conditioning and climate control, it can be difficult to get the correct temperature that suits everyone. It may be too cold for some, too hot for others, too hot in the back but too cold in the front, and so on. The possibilities of inconvenience are endless. Dashboard fans provide you with two options: on or off. It then creates a cool and steady breeze throughout the car, separating you from the sweltering heat outside. The dashboard fan has an easy installation too. It simply sits rigidly on your dashboard and plugs into your car’s cigarette lighter. That 3-way adapter would sure come in handy for this. This is exactly what it says on the tin. Instead of hanging your jacket or shirt covering the backseat window, this clothes hangar fits onto the back of your front seat. Eliminating the garment’s constant swinging back and forth that comes with the motion of the car, this clothes hangar prevents your item of clothing from getting creased, not to mention giving your backseat passengers much more room and actually allowing them to look out the window. This car accessory is a must have for any businessman to keep them looking smart and presentable when they arrive at their business meeting. Another essential, and very clever, car accessory, this heated car mug never lets your hot beverage go cold, as the mug itself is heated by being plugged into the cigarette lighter. That 3-way adapter is really looking like a good idea now, isn’t it? Your coffee will still be suitable for you to drink when you get to work, rather than having to gulp it down while driving and spilling it all over your lap. This article was written by John Smyth, an avid car enthusiast who finds himself watching any and all car shows he comes across on TV, while scouring a map to find the best possible road trip available.